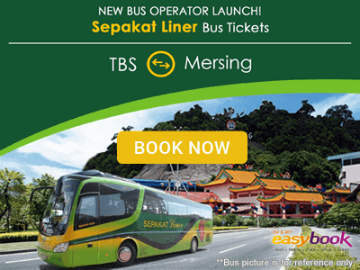 [21 Mar 2019] Sanwa Express partners with Easybook.com to offer affordable bus fares to many exciting destinations in Peninsular Malaysia. 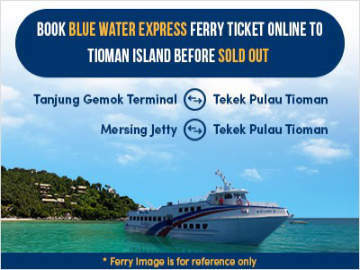 Popular routes include express bus from Kuala Lumpur to Tanjung Gemok Jetty and Mersing Jetty. Pick-up points are conveniently located at TBS, Berjaya Times Square, Hotel Istana and KL Sentral. 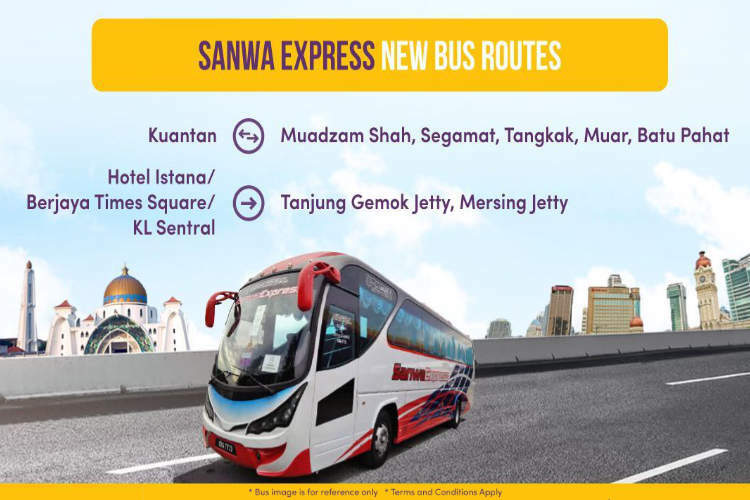 Recently, Sanwa Express launched new routes from Kuantan Terminal Sentral to Muadzam Shah, Segamat, Tangkak, Muar and Batu Pahat. 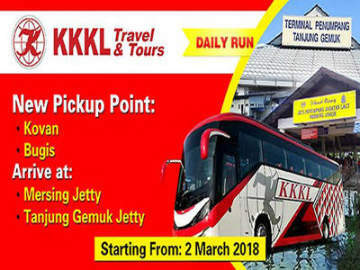 The bus departs from Terminal Sentral at 12.15pm and bus fares start from MYR12. To book your bus ticket online, click www.easybook.com. Sanwa Express is based in Bandar Muadzam Shah and has made quite a name for itself as an express and tour bus provider for many travellers in Pahang since it was founded in 2012.